Consequences, the topic of the day! As a consumer, Common Sense is your greatest weapon. The old saying that if it seems too good to be true, it probably is, still holds true. If you know what gold and silver actually costs then you will have an idea of what jewelry should cost. Obviously the amount of work in an individual piece of jewelry can vary greatly, it is not just the value of the metal that determines the price, but a “solid gold charm” is not going to cost $5 when the price of gold is $1,200 an ounce. You can expect a piece of plain metal jewelry to cost 3 to 6 times the value of the metal, as a ballpark figure. For personal reference, the weight of five US quarters is about an ounce, and the weight of six US dimes is about half an ounce. An easy way to know what precious metals are selling for is to check the “spot price” at someplace like Rio Grande Jewelry. The current “spot price” of metal is always listed at the top of the page right under the search box. If you don’t know what “spot price” means, I suggest you read the first blog in this series. Ask questions! Even small shop jewelers usually mark their sterling pieces “sterling” or “925”. Reputable jewelers should not be offended by questions about metal content, as long as you are polite. I usually have information about what alloys I use available in my shop so that people with metal allergies can buy with confidence. Resellers will rarely be able to provide that level of information, but the items should still be stamped with the metal content if they are precious metal. But what happens if someone gets caught cheating? US Laws governing metal purity are complex, sometimes originating in the gold-rush days, other times based on banking scandals, and or on an increased awareness of adulterated materials. In the US, not only are mislabeled gold and silver products unethical, but the penalties can be draconian. Other countries’ metal laws are different, and may be deferentially enforced. The US laws concerning metal content are covered at the Federal level by the “Gold Labeling Act of 1976” which is not just about gold (15 U.S.C. 8 Section 291-3000). The act addresses gold and silver in any form: Bullion, jewelry, and any goods manufactured that include gold or silver. If items violating this law are imported, they may be forfeited, seized, and/or condemned. There are many other penalties that may be applied to companies, employees, or people who import fraudulent gold or silver goods, but those penalties are beyond the scope of this blog. What about US-based companies and people violating the Federal marking requirements? Anyone violating this Federal law may be fined up to $500 or imprisoned for not more than three months PER ARTICLE found in violation of the law. That law also has some interesting, but less obvious provisions. These violations are additive if you cross borders, use the mail, a shipping company, or any other method to move goods to a wholesaler, jobber, retail location, or to the end consumer. Federal law also extends the right for Trade Associations and competitors to bring suit under the law. And that’s not the end of laws controlling metal. Almost every State, Territory, and District have something to say about metal purity. For example, California has a Metals law directed at lead and cadmium content, but it also defines other purity requirements. Violators may be fined up to $2,500 per day, per violation. People who willfully violate this state law face fines up to $100,000 and a year in jail. Civil Penalties can also occur. For instance, if I was a reseller, and I was buying charms from a manufacturer that were supposed to be sterling silver (925), and they were not, I could sue that manufacturer for damaging my reputation as a seller of quality goods. The court would then determine how much damage had been done to my reputation and determine a financial penalty. Plating with precious metal has been around for a very long time. Theophilus, in his book “On Divers Arts”, published in 1122, describes how to gild a surface, First you mill together mercury and gold, and then apply it to a metal surface and drive off the mercury to create a gilded surface. He notes “Be very careful that you do not mill or apply gilding when you are hungry, because the fumes of mercury are very dangerous to an empty stomach and give rise to various sicknesses…” And I should mention that the milling process is expected to take three or four hours. Fortunately today there are considerably less toxic plating techniques available, involving electricity and chemical solutions. Until fairly recently almost all precious metal plating solutions contained cyanide, but now non-cyanide plating solutions are available for the shop jeweler. Base metals can be plated with silver or gold, both with the same intention, to make a less expensive metal appear to be a more valuable. Plated pieces should be labeled as plated, and some may be stamped with the purity of precious metal that was used. The layer of precious metal is just a few molecules thick, and there is no standard to indicate how thick the precious metal is. 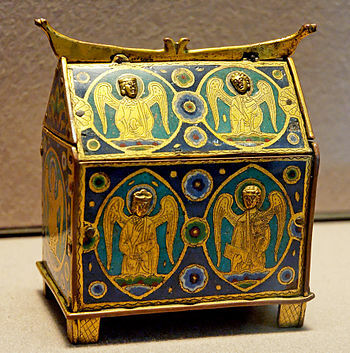 Religious objects were often gilt during Medieval times to make them look as if they were made of solid gold. An exception to the plating rule is Vermeil, which is Sterling silver that is plated with gold. It is an American standard. By law Vermeil has no less than 2.5 microns of karat gold (no less than 10k purity) layered over the Sterling Silver. It is usually stamped Vermeil and may include a purity stamp for the gold. Vermeil is 50 times heavier than standard gold plating. Beware of “Dutch Gold”. It is not real gold, but rather an alloy of copper and zinc, and is usually sold in leaf form. It is sometimes used to “gild” jewelry and other objects. It can be very beautiful, but it is NOT gold. Filled Metal is made using a different technique than plating. Filled metal has a physically bonded layer of precious metal that is much thicker than plating. It is attached through a combination of heat and pressure to a base metal core. When purchasing metal stock from a supplier the metal will be listed according to the purity of the gold or silver. For instance 14/20 or 12/20 for gold means 14K or 12K. The ” /20″ part refers to the ratio of karat gold to core by weight, which is 5%. That means the precious metal is 5% of the overall weight of the metal. Different suppliers use different purities of gold. Silver filled has a different annotation system. 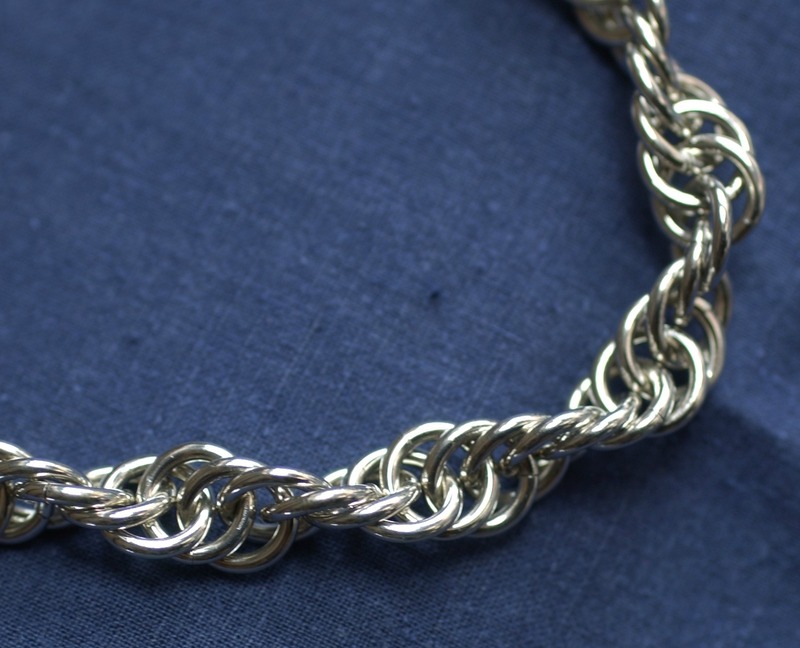 My supplier lists it as either 1/10 or 1/20, which means a ratio by weight of 5% and 10% respectively; 5% or 10% of the total weight of the metal is silver. I do not use silver filled materials in my shop. I feel that the difference in price is not worth it. But gold-filled materials can allow the customer to have the look of real gold in a product for a fraction of the cost of solid gold.